"Use of service is at your sole risk. The service is provided on an "as is" and "as available" basis. Scalable Systems Co. Ltd. expressly disclaims all warranties of any kind, expressed or implied, including but not limited to implied warranties of fitness for a particular purpose. Information, including both information published on the site and in answer to individual questions or inquiries, is provided for educational purposes only. Judgments as to fitness for any particular purpose, case, or situation are the sole responsibility of the user. Scalable Systems Co. Ltd. (SSTC) is committed to maintaining your privacy. We understand that your personal information may be sensitive in nature. To best serve you, it is necessary for us to collect certain information. We would like to inform you about what information we receive and how such information is used. We encourage you to read the following policy so that you fully understand how we manage your information as well as how we are committed to protecting your personal information. SSTC is committed to complying with all applicable law and will respect the legal requirements that exist regarding the privacy of personal information. SSTC uses only fair and lawful means to collect information. From time to time, SSTC will review its policy for collecting, using, and disclosing personal information to ensure compliance with laws and regulations. 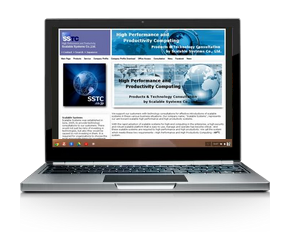 SSTC collects information from your browser including your IP address, browser type, and computer type. This information is anonymous data, and we will never know who you are unless you specifically tell us. It assists us in diagnosing problems with our server, analyzing user trends and traffic patterns, improving website design and layout, and administering the website. Your IP address is a number automatically assigned to your computer when you use the Internet, and cannot be linked to personally identifiable information. We do not use "cookies," which are small computer files that we transfer to your browser from a web site's computers and stored on your computer's hard drive.